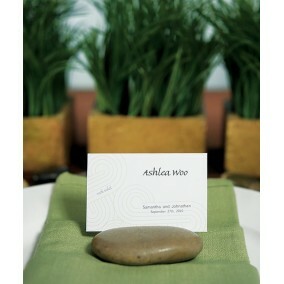 Achieve a Zen-like atmosphere when you incorporate these polished stone place card holders into your table settings. 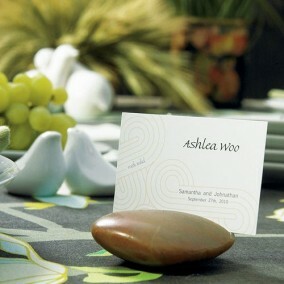 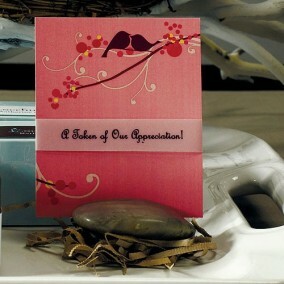 Each rock has been etched on one side to hold a place card or other suitable stationery. 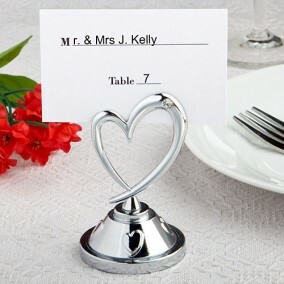 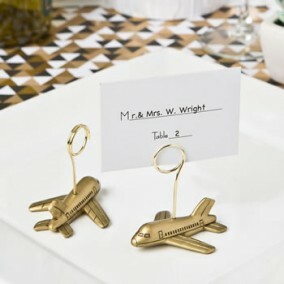 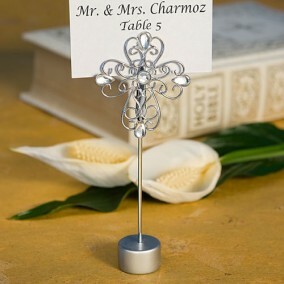 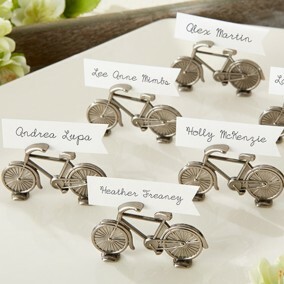 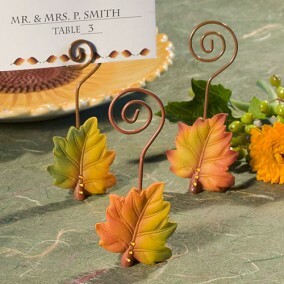 Use these unique card holders for place cards, menu cards, or photos. 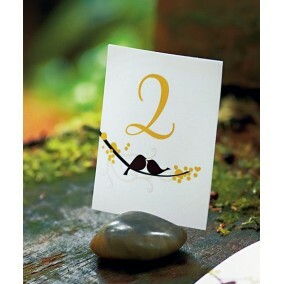 Perfect for garden parties, Asian themed weddings or parties planned around a green theme.